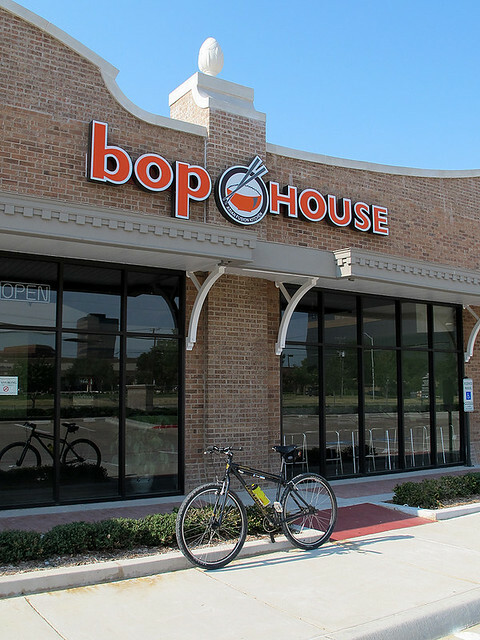 We’d like to introduce Bike Friendly Richardson’s newest partner, Bop House. If you don’t already know who they are, check them out on Facebook, Yelp and Urbanspoon. Bop House, an Asian Fusion restaurant who’s mission is to serve fresh ingredients, healthy choices and no compromise on taste. Bop House opened earlier this year. They are offering a choice of a FREE soft drink or egg roll with the purchase of a meal, to any bicyclist who arrives by bike. Just ask the person about this offer when you place your order. This offer may change at the owner’s discretion. Tried to eat there last night but they closed at 8! We will be closed from 9/3 (Sat)~ 9/5 (Mon) in observance of Labor Day. Thanks for the heads up, Bop House. I hope to one day make it out there before 8 to try your food!